A 3D Prezi Presentation Template with online learning and education concept. Template for presentation related with studying online, internet research, online tutorials and materials. Present about an online course or talk about school homework and assignments that can be completed online. Rearrange all the elements and create your own concept – replace the background image. 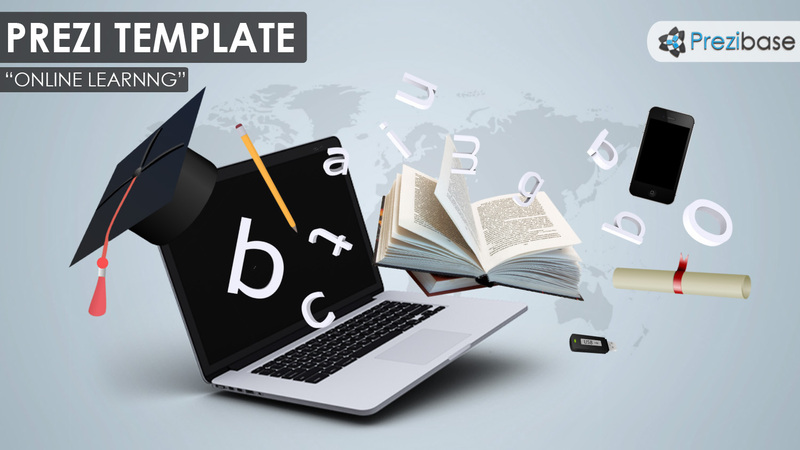 A simple yet effective 3D template that is suitable for teachers, video lecture, students, lecturers or tutors. This entry was posted in Best Prezi presentation templates and tagged 3d, 3d book, book, college, course, degree online, diploma, education, flying, learn, learning, learning online, letters, map, online diploma, online materials, online research, open book, paper, pencil, prezi template, prezi templates, roll, school, student, study, study online, studying, teacher, USB, usb stick, world map.